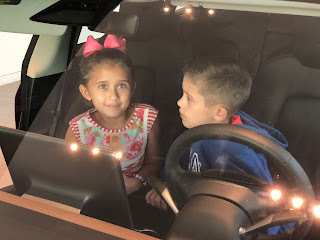 On Saturday night we decided to try the Tesla Model X out to see if we liked it. We liked it quite a bit more than we expected and the kids loved it. We probably won't be getting one in the near future, but we had fun trying it out and the kids loved the "Ludicrous Mode" acceleration.